South Sudan Ambassador to China, John Andruga Duku has appealed to all citizens to maintain and protect peace in the country. Duku who is currently in the country supported President Salva Kiir for his vision and efforts to restore peace. The ambassador praised China as a country for having stood firm behind the peace agreement and being the only member of the UN Security council to endorse the agreement. He called on other members the U.K, USA and France to support the efforts wholeheartedly if they were true friends of the country. Ambassador Duku called on every citizen to protect and guard peace so that “everyone can go about his or her work of building the nation without worry or fear”. He said that people had suffered enough and it was time to reconcile and look towards developing the country. “Time is now for us to join the rest of the world and show them that we can restore and maintain peace. It is the duty for all us. We cannot leave it to the leadership alone.” He added. 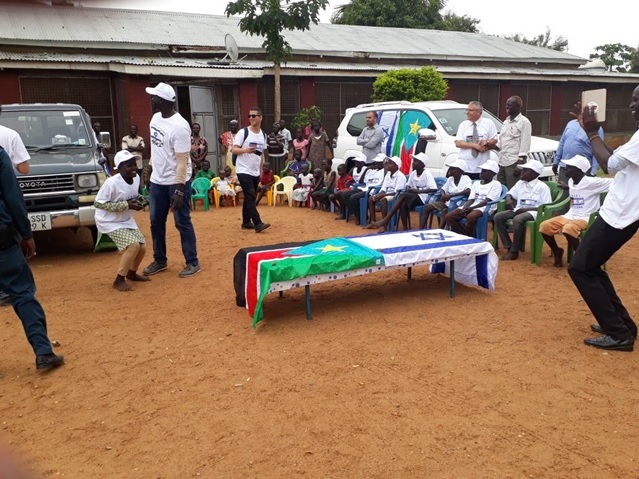 Duku said he was impressed with the event of the Great South Sudan Run which brought together both international and national athletes, but which actually brought the country together to participate in sports event without tribal and leadership barrier. He congratulated the organizers for having been among the pillars behind the search for peace by bringing the country together at a time of need. He equally thank the Chinese people for having initiated a number of projects which were on going and which would help transform Juba and the country at large. “These are our true friends. What they are doing in the country can be seen and soon our city, Juba will be like others in the developing world.